Skoda is celebrating the 100th year anniversary of the Monte Carlo Rally and the 110th year anniversary of the brand’s motorsport efforts with the launch of the special edition Fabia Monte Carlo Edition. This new version made its first public appearance at Rallye Monte Carlo back in January and has now been introduced at the 2011 Geneva Motor Show. While we’re not completely enamored with these type of cars, we do have to give the boys over at Skoda some serious love for the way they designed this special edition Fabia.The powertrain may not be on the powerful side, but Skoda certainly makes up for it by designing the special edition Fabia with a very nice red and black two-tone finish, highlighting an aggressive rally-inspired exterior that completely masks the subdued engine under its bonnet. It may not be the fastest car out of the block, but for a car that you can take to the city for some nice, little joy-riding, the Skoba Fabia Monte Carlo is about as good an option as any B-car segment vehicle. Details on the Skoda Fabia Monte Carlo after the jump. 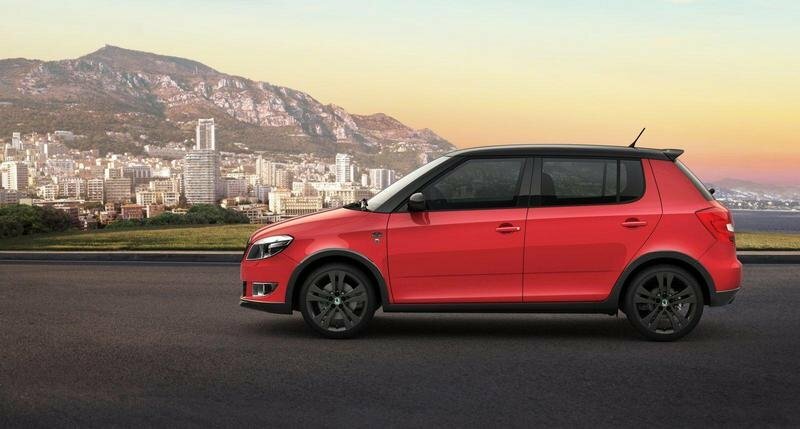 The Fabia Monte Carlo special edition will be distinguished by a piano-black body trim extending all the way from the wheel arches and down the full length of the car. It also comes with a black roof, black door mirror covers, a black radiator grille top, smoked headlamps, and rounding off the whole exterior look, a set of black 17" lightweight Trinity alloy wheels. 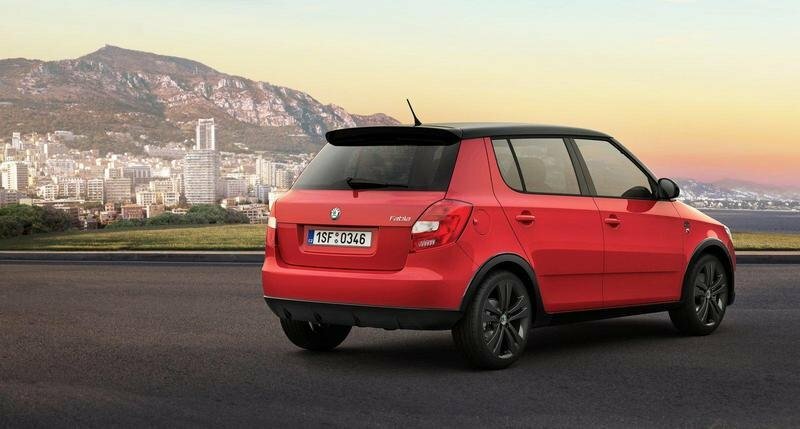 As for the interior, the Fabia Monte Carlo will receive a choice between all black or red and black sports seats that go with additional side support. Both the red and the black versions will come with one black roof lining, a perforated leather steering wheel with red stitching, leather handbrake, and a gearstick gaiter with red stitching. Silver kick plates and steel pedals are also offered as standard features of the Fabia Monte Carlo. Just like a standard Fabia, the special edition Monte Carlo will come with an extensive list of powertrain options, including a 1.2-liter engine that produces a choice of 68 horsepower, 85 horsepower, or 104 horsepower. Not satisfied with a gas engine, Skoda is also offering two diesel variants that produce an output of 74 horsepower and 104 horsepower, respectively. All variants of the Fabia Monte Carlo will be fitted with a standard transmission. The special edition Fabia just went on sale with prices starting at £12,755 - that’s about $17,000 based on current exchange rates - for the entry-level model. Prices will increase depending on the version until it hits £15,000 - or around $20,000 - for the top-of-the-line version of the Fabia Monte Carlo. The Skoda Fabia compares favorably to a number of other vehicles, one of which is the new Opel Corsa. As competitors in the B-car segment, these two vehicles come with their own unique design so picking one over the other will be entirely up to what you feel like driving out on the city streets. As far as performance goes, the new Opel Corsa boasts of an EcoFlex 1.3 CDTI diesel engine that’s right around the same ballpark as that of the Fabia Monte Carlo and its pupu-platter of powertrains. The price of the Opel Corsa is priced at $15,750 based on current exchange rates, giving it the leg up on the Skoda Fabia Monte Carlo Edition. I love the color and it’s impressive. The wheels are great in black. The platform is good. The platform of this Monte Carlo is almost the same with a Suzuki swift vehicle. Anyway, I’m still very fascinated with this one for it looks so decent and stunning on that aesthetic design. I’m just only curious on what will be its interior look like? Monte Carlo fabia, is one of the interesting and attractive car dealing with its red and black two-tone, it does emphasis the aggressive look of the car, but what I like most here is the comfort and security it look. Sorry to say but I can’t see the ’angry looking exterior’ of this Fabia Monte Carlo and I think if they used some glossy color on the exterior on this Monte Carlo it will be more a good looking car, for now it is quite impressive. I found Skoda Fabia what I am looking for in an interior: leather steering wheel with red stitching, leather handbrake, and a gearstick gaiter with red stitching. And Monte Carlo has it all! A dream come true. I simply love this Skoda Fabia Monte Carlo, the platform design seems so simple but very appealing and quite impressive for me. It already looks good either on its color. 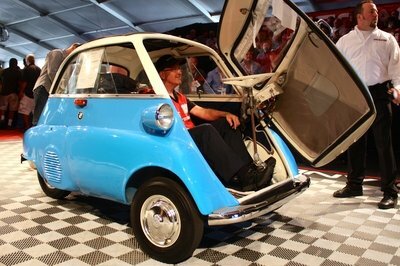 Haha i actually like this car. The front is kind of a little too much i think. But it does give an the car an agressive look for such a small car. I can’t see the angry looking exterior of this Fabia Monte Carlo, but I’m so impressed with the design of this one. I love the fresh black and red two tone of this. I don’t hear a lot about Skoda that is why I’m not familiar with their cars but the way I see the car. I like the way it is created. 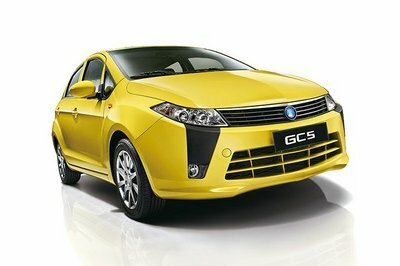 The aggressiveness it evokes and the boasting performance output. Monte Carlo had an angry looking exterior that I love the most on this car. I guess the engine performance of it can beat the other sports car. 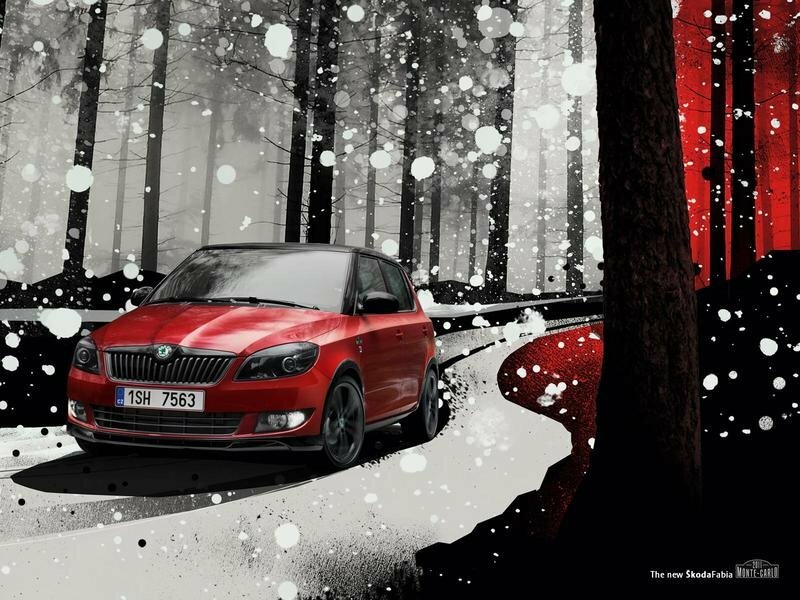 Fabia with a very nice red and black two-tone finish is completely masks the subdued engine. I’m not pretty much sure about the performance of this car one thing is it may not be the fastest car out of the block. 13,000 pounds, that one is actually quite cheap, considering all features that are in it. 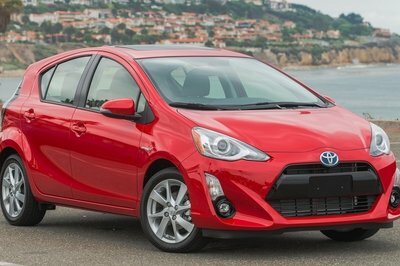 But if you are simply looking for a good city car, then you will find several cheaper alternatives. 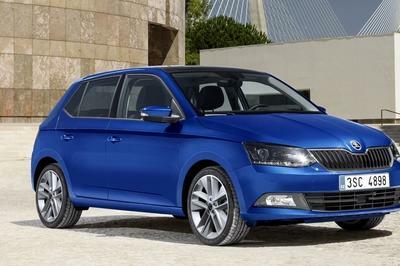 Skoda Fabia looks cheaper,It has less appealing features that i can say not very in demand for peoples choice . The Fabia is definitely one of those cars that I really like, no matter what trimmings are on it. And this edition would rank as one of my favorites, since it gives the car a subtle old school vibe. The Skoda Fabia Monte Carlo price list starts at 12,755 GBP and goes up to 15,000 GBP. the new special edition will be available for ordering from 24 January 2011. Shak, Skoda are selling as many cars as they manufacture at present, and we are literally at the other end of the world. The RS Octavia is more performance than the average driver needs should he/she want a feisty Skoda, and they come at a good price. This is the one Skoda that looks good, and would sell well in Australia. 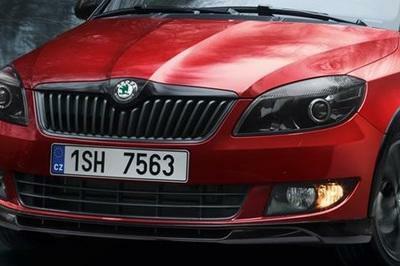 Why is Skoda insistent on not following market trends? you got that right.. i guess this is a good answer for the fuel crisis problem we are facing, a good alternative for hybrid cars because we all know that hybrid costs is kinda pricey. only 1.2L engine? i guess this car is meant to be a fuel efficient car, but like many other said if you can’t perform bring it to your outfit. I don;t like the looks on this, but i appreciate that they didn’t messed around with many colors. 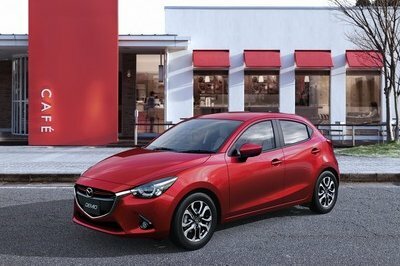 Red and black on the exterior and interior give the ride a nice touch!